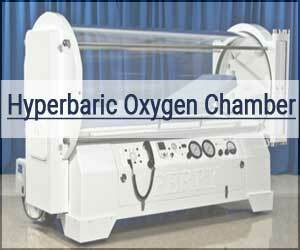 Hyperbaric oxygen therapy is a new therapy for a group of patients of Fibromyalgia. The researchers at Tel Aviv University have found in a new study that fibromyalgia may be a consequence of post-traumatic physical and psychological distress associated with childhood sexual abuse. All such survivors of childhood sexual abuse who develop fibromyalgia may be effectively treated with hyperbaric oxygen therapy. The new study has been published online in Frontiers in Psychology. The fibromyalgia syndrome is a chronic condition characterized by widespread pain, fatigue and cognitive difficulties. The was conducted by Prof. Shai Efrati of TAU’s Sackler School of Medicine and Sagol School of Neuroscience and Director of the Sagol Center for Hyperbaric Medicine and Research at Assaf Harofeh Medical Center and is a part of an ongoing collaboration between TAU, the University of Haifa and Assaf Harofeh Medical Center investigating new therapeutic strategies with which to treat survivors of childhood sexual abuse.